Each year, the Real Estate Association plans an international study trip to learn more about diverse and emerging real estate markets. The 2018 trip was to Hong Kong and Shanghai. Past destinations have included South Africa, China (Guangzhou and Shenzhen) and Singapore, Bogotá, Colombia and Mexico City, Mexico, China (Beijing and Hong Kong), Brazil, China (Shanghai and Hong Kong), Mexico, Brazil, South Africa, London, England, and Berlin, Germany. International trips are co-sponsored by the Paul Milstein Center for Real Estate and the Jerome A. Chazen Institute for International Business. From March 12th to 16th, 2018, 30 Columbia Business School real estate students and administrators traveled to Hong Kong and Shanghai, learning about the market in China and meeting with both local and foreign real estate companies. Also in attendance were Paul Milstein Center Executive-in-Residence Leanne Lachman and Managing Director Kristin Svenningsen. The trip was sponsored by the Jerome A. Chazen Institute for Global Business and the Paul Milstein Center for Real Estate. The trip was organized by Mandy Yeung ’18, Pat Banyatpiyaphod ’18, Robin Lore ’19, and Tommy Chan ’19. On March 13th 2017, 36 students aimed to get to the bottom of all things Real Estate while embarking upon this journey. Joined by Executive-in-Residence of the Paul Milstein Center for Real Estate, Leanne Lachman and Soula Proxenos of International Housing Solutions, we visited Johannesburg and Cape Town, touring established private and public real estate investment firms, banking institutions, local entrepreneurs and non-profits investigating the state of the real estate market in South Africa. What did we learn along way? Forty students from Columbia Business School attended a study tour to Singapore and Southern China from March 13th through March 20th. Also in attendance were Professor Lynne B. Sagalyn, Earle W. Kazis and Benjamin Schore Professor of Real Estate, and Executive-in-Residence Leanne Lachman. The trip was sponsored by the Jerome A. Chazen Institute for Global Business and the Paul Milstein Center for Real Estate. The trip was organized by Charles Griffith ’16, Cheryl Kong ’16, Durrell Mack ’17, Joseph Noon ’17, and Erin Williams ’16. Singapore and Southern China (specifically Guangzhou and Shenzhen) were chosen for this year’s trip due to high growth and rapid development in both areas from a real estate perspective. Both locations experience immense governmental involvement from concept inception, planning and entitlements through development. During Columbia Business School’s spring break from March 14 through 22, a group of 22 real estate students and faculty members traveled to Bogotá and Mexico City to understand more about these emerging markets, their real estate dynamics, and doing business in these cultures. On the docket were full days of visits with local real estate players such as Terranum Capital in Bogotá and Thor Urbana Capital in Mexico City, in addition to city tours and visits to historical sites and museums. Photo: 2015 REA/Chazen Trip participants outside of the Four Points by Sheraton Bogotá. A group of 32 Columbia Business School real estate students and faculty members headed to Hong Kong and Beijing over spring break 2014 for a deeper look at the Chinese property market. On the agenda: dim sum, a Peking duck dinner, the Great Wall, and visits with more than a dozen local and international developers and investors. The extensive itinerary included meetings with companies ranging from Blackstone, the world’s largest private equity firm, to local players like Swire Properties, one of the largest commercial landlords based in Hong Kong. 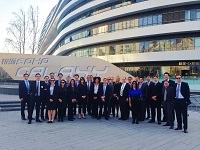 Photo: 2014 REA/Chazen Trip participants visiting Galaxy SOHO in Beijing. South America’s leading economy and one of the most intriguing markets for global real estate investors was the destination for this year’s Columbia Business School Real Estate Association international study trip. Students were accompanied by Lynne Sagalyn, Earle W. Kazis and Benjamin Schore Professor of Real Estate and Director of the Paul Milstein Center for Real Estate and M. Leanne Lachman, Executive-in-Residence at the Paul Milstein Center. Photo: 2013 REA/Chazen Trip participants visiting Odebrecht’s Parque da Cidade development project. By Andrea Sulyanto ’14. One country, 2 special administrative regions, 9 passport stamps, 12 company visits, 26 students, not to mention planes, trains, automobiles, and boats were all part of the 2012 trip. Students were accompanied by Lynne Sagalyn, Earle W. Kazis and Benjamin Schore Professor of Real Estate and Director of the Paul Milstein Center for Real Estate; M. Leanne Lachman, Executive-in-Residence at the Paul Milstein Center; and Kate Kerrigan, Administrative Director of the Paul Milstein Center. Photo: Shanghai skyline, as seen on the 2012 Real Estate Study Tour. By Ira Panova ’13. In 2011, 24 real estate students visited Mexico to learn more about the real estate market in Mexico City and Cabo San Lucas. The group was accompanied by M. Leanne Lachman, faculty advisor and Executive-in-Residence, and Nicola Mare Usher, the Assistant Director of the Paul Milstein Center for Real Estate. Highlights of the trip included company visits and site tours with CBRE, Grupo Ideal, Mexico Retail Properties, dine, O’Connor Capital Partners, Walton Street Capital, PREI, GEO Residencial, and Snell Real Estate; and a reception with the Alumni Club of Mexico City at Club 51 in Torre Mayor. Photo: Real estate MBA students enjoying the view of Mexico City from an office tower helipad. In 2010, 26 real estate students visited Brazil to learn more about the emerging real estate market in Sao Paolo and Rio de Janiero. The group was accompanied by Lynne Sagalyn, Earle W. Kazis and Benjamin Schore Professor of Real Estate and Director of The Paul Milstein Center for Real Estate, and M. Leanne Lachman, faculty advisor and Executive-in-Residence. In Sao Paolo the group took a city tour visiting Ibirapuera Park, Historical Downtown, and the Govenors Palace among other sites. Students met with colleagues at Jones Lang LaSalle, Tishman Speyer, GP Investments, GTIS Partners, and Hines; and enjoyed a reception with alumni living and working in the Sao Paulo area. In Rio de Janiero the group toured the city and had the opportunity to meet with colleauges at BR Malls, the Rio Olympics 2016 Organizing Committee, and the City Planning Office. Photo: The Ponte Estaiada bridge, São Paulo, Brazil. In 2009, 20 real estate students visited South Africa to learn more about the real estate market in Capetown and Johannesburg. The group was accompanied by Lynne Sagalyn, Earle W. Kazis and Benjamin Schore Professor of Real Estate and Director of The Paul Milstein Center for Real Estate, and M. Leanne Lachman, faculty advisor and Executive-in-Residence. In Johannesburg the group toured Soweto and Soccer City and enjoyed company visits and site tours with Broll Properties (CBRE), Apexi Properties, Growth Point Properties, and Gauteng Tourism. Highlights of their agenda in Capetown included a Winelands your and company visits and site tours with Dubai World Africa; One & Only Cape Town, Victoria & Alfred Waterfront Company, Pam Golding Properties, and Rabie Property Group.